Twenty militants were killed and 25 injured as security forces repelled an attack on a checkpoint in North Sinai on Wednesday, Aswat Masriya siad. 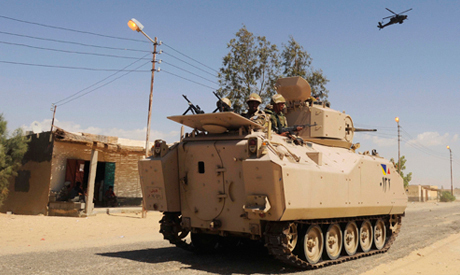 The army has intensified its anti-insurgency operations in the Sinai Peninsula since early July after Islamist militants killed at least 21 soldiers in simultaneous attacks on army and police posts in North Sinai. The decade-long militant insurgency in North Sinai has intensified since Islamist president Mohamed Morsi was ousted from power in 2013. In November 2014, the most active Islamist militant group in Egypt, Sinai Province - previously called - Ansar Beit Al-Maqdis, is affiliated with the Islamic State group, which controls large swathes of Syria and Iraq.